« Is Beyonce Any Different From Lil’ Kim and Trina? 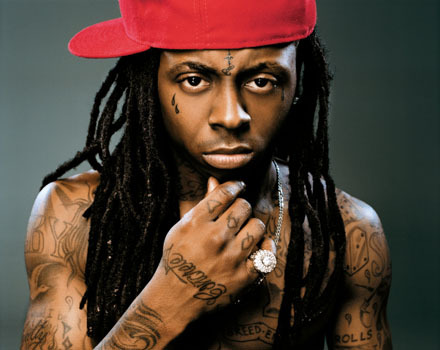 Lil’ Wayne has welcomed a son into this world with Toya some Groupie actress Lauren London singer Nivea! The baby was born this weekend, but the rapper was unable to witness the birth because he was out impregnating other women for a prior engagement. It’s nice to know that all of that syrup and whatever else he dabbles in hasn’t effected his sperm count because ol’ boy has absolutely no problem knocking chicks up. This will be baby number 4 for Nivea (she has three from her prior relationship with producer/singer The-Dream) and this will be Lil’ Wayne’s fourth as well. ALL of Lil’ Wayne’s children are by different ladies, but as long as he’s taking care of them I can’t down the man. You know he actually just welcomed his third children with Lauren London about two months ago. I wonder if there’s a fifth one on the way, if so he’ll have a starting line up for a basketball team. Oh well, congrats to him! I hope someone buys him an economy sized box of condoms for Christmas. This entry was posted on November 18, 2009 at 10:28 pm and is filed under Entertainment, November 2009 with tags baby, Entertainment, Lauren London, Life, Lil' Wayne, music, Nivea, No Ceilings, rap, The Carter, Weezy. You can follow any responses to this entry through the RSS 2.0 feed. You can leave a response, or trackback from your own site.